Is it possible to do 3d with ati/amd card atv120hz via the DL DVI as well as via HDMI 1.4 on these monitors? would it be possible for one of the party’s involved (Microsoft, or Acer) to update there device to then support each other ? Yunti, for AMD/ATI GPUs only through the HDMI 1.4a interface. The Acer HN274H does not have component input, only HDMI, DVI and DSUB. It is possible that Microsoft could update the Xbox 360 in the coming months? ?Or until the next Xbox???…. It does all formats. It’s just that the 360, and things like cable boxes that were made before the 3D standards came about will only be able to use the side by side techniques, and this display doesn’t know what to do with them. The side by side methods would even work on component, and don’t require HDMI. It is sad to see this display not support that though, its just not a matter of certification. Hope MS can fix this with a update ? or is it a hardware limitation ? what 360 games support 3D? Damn – I really was considering to get one of those, glad I know now I won´t get my Xbox running with it (I want to play Crysis 2 in 3D, maybe Black OPs too). I doubt there will be a patch that will get the HDMI output up to speed. Is The Acer HS244HQ compatible with 3DTV Play Nvida?? The XBox360 is very old hardware so who bothers to use low-framerate 3D on it. I do have a PS3 so it would be nice to plug it into one of these Acer monitors and watch a 3D movie. It would be interesting to know how the Acer HN274H performs with a PS3 as there have been so many poor implementations of HDMI1.3 on monitors in the past. Are you sure Xbox 360 won’t work? From what I understand the Xbox 360 Slim Console 250GB only supports 3D output via HDMI 1.4a and is the only console built with that kind of HDMI. I was really hoping to buy the Acer 27 for it to work with X360. What kind of 3D display do you recommend that actually support X360, PC and PS3 alltogether? I’m thinking 27-32 inch in size. The Xbox 360 has one general issue regarding stereo 3D support and that is the fact that the console does not come with native support. This means that in order to have stereo 3D support you need a game that has a built-in native S3D support in its engine. So the compatibility with 3D displays is generally down up to what the specific 3D output types are supported. So there is no guarantee what may and may not work with specific display, especially if the display does not have support for multiple S3D formats and the user being able to switch between them. That is precisely why a 3D HDTV is the best choice to ensure compatibility with the Xbox 360 when talking about 3D support. And most if not all 3D LCD monitors with HDMI 1.4 are not going to work, because they need specific frame packaged 3D content through the HDMi 1.4a, and the usual output from Xbox 360 in 3D format is in Side by Side format which apparently is not supported by the 3D LCD monitors. Bloody, can I complain to Acer writting an email where I say that they sold me a HDMI 1.4a product without all the formats that HDMI 1.4a supports?Because I am reading in the official HDMI website that HDMI 1.4a supports “Side by Side”..I didnt read in any catalogue of Acer that the Acer HS244HQ doesnt support “Side by Side”..
Fernando, you can output Side by Side even without having HDMI 1.4(a) and that is probably causing the issue when the monitor needs to detect it is getting 3D content and automatically activate the 3D mode as it does not have an user switchable menu for different modes. But this monitor doesnt support “Side by Side” automatically/manually…and I didnt read in any Acer catalogue that the Acer HS244HQ doesnt support it.They MUST WARM this. And the Side by Side isnt only for Xbox.In Spain (where I live) Digital+ is using “Side by Side” in his 3D channel. In PC I am using TriDef and when I try to watch a 3D Side by Side video, the monitor doesnt reproduce it.. 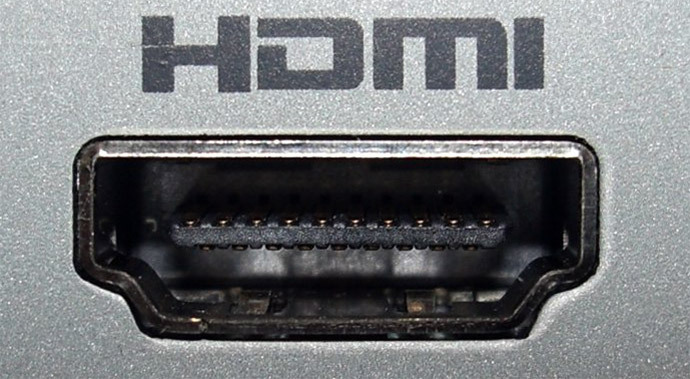 The HDMI 1.4a standard clearly states that all formats (frame packaging, side-by-side horizontal and top-and-bottom) are mandatory. The “problem” with the acer hs244hq seems that it does not support 1.4a but “only” 1.4 (which means that the fancy stuff is optional and only frame packing is mandatory). Alas, on Acer’s homepage the HS244HQ is advertized as 3d-ready and not as supporting HDMI 1.4a. I have also read this from users (that actually bought this monitor). If true the GN245HQ will indeed have this standard and should then by definition also work with the corresponding formats (see also http://www.engadget.com/2011/02/09/acer-debuts-gn245hq-monitor-with-hdmi-3d-support-from-nvidia/). So, IMHO, the heading of this article should be revised. I have tried Sky 3D with it and does not work. The picture is displayed side by side. So this is to back up Bloody’s comment. I bought HS244HQ as I expexted it working with 3DTV PLAY on my GTX465 PC. The result is, Nvidia cannot recognise is as a 3DTV, stereoscopic pane disapeared in Nvidia control.